You’d think that after a near half century of breathing, I’d have mastered it by now. Breathe in, breathe out. Inhale… exhale. 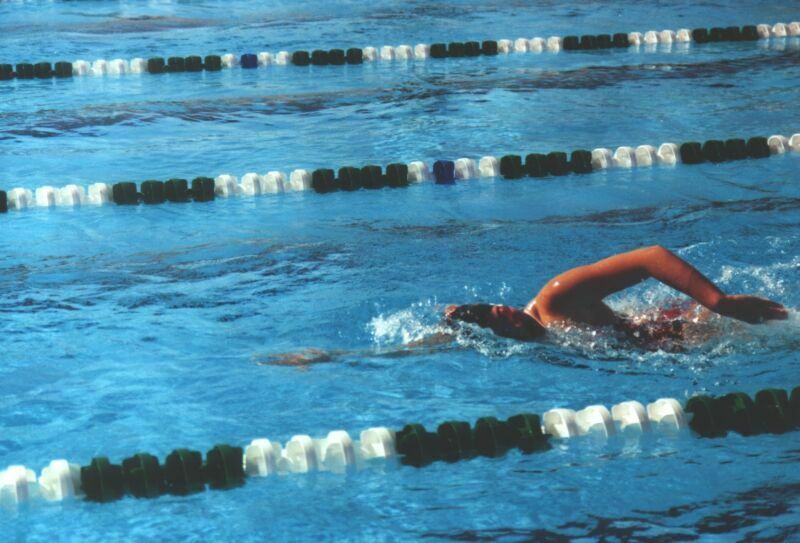 This photo isn’t me by the way, this is a photo of someone doing front crawl with skill! Yes, I haven’t mentioned much about the triathlon attempt lately but it’s still on. Now that we are into January it’s so much easier to watch the weeks hurtle past bringing me ever closer to the dreaded day. I really need to be gripped by sense of urgency. It’s not that I haven’t been preparing: thanks to generous people at Christmas, I’ve got all the gadgets in place. A new swimming proof watch that counts your lengths for you. I have ‘100 Running Songs’ loaded on my ipod. I have the Nike gadget in my trainer that causes the lady on my ipod to tell me how far I’ve run and how long I’ve been running for (but sadly she never says the words ‘300 yards to the rest of that box of chocolates’!’ Why didn’t Nike think of that? Even the Sat Nav says ‘Congratulations you have reached your destination’ Couldn’t the Nike lady come up with something more motivating?). Yep, all the gizmos are in place, now I’ve just got to get out there and do it. ‘There is a time for everything’ Ecclesiastes tells us. A time to tear and a time to mend, a time to speak and a time to be silent, a time to weep and a time to laugh. I could do with adding a few categories of my own: a time to run, a time to cycle, a time to swim…. a time to sit in an exhausted heap and wonder why on earth I thought this was a good idea! Does anyone else think New Year is an odd thing to celebrate? Well done, you are putting me to shame doing all that exercise. Surprisingly most of the population does not know how to breathe properly! The lungs are roughly the shape of a hanging pear with 2/3 of the capacity at the bottom by the stomach and yet people stick their chest out to breathe! Take it from a singer you can only breathe properly from the diaphragm! When my asthma first went out of control the first thing they checked was that I was breathing correctly as this can get most cases back under control – being a singing runner at the time I was the exception.